Do you love sweet ooey-gooey chocolate chip cookies? We know we do! 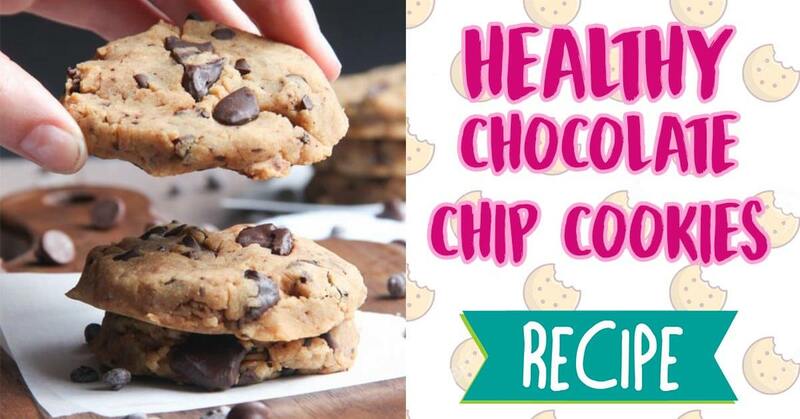 That's why we love this recipe for sweet and tasty, but healthier, chocolate chip cookies. Try it today and let us know what you think of the recipe! In a medium bowl add the flour, baking powder, and salt. Mix together. Stir in the vanilla extract, honey, peanut butter, applesauce. Stir until fully combined. The mixture will be slightly sticky. Drop the dough onto baking sheet by the Tablespoon. They were not spread out during being baked so make sure you have them looking the way you want them to look. Bake them for 8-11 minutes or until they have risen and are golden brown.